A Twitter chat is a way for Twitter users to gather together at the same time and talk about a particular topic. 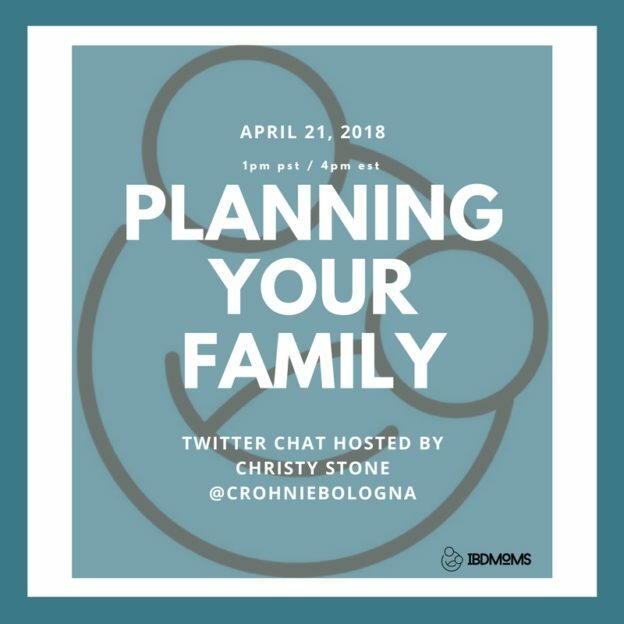 In this case, we’re moms who have IBD and we want to discuss options for family planning such as in-vitro fertilization, adoption, and surrogacy. By searching for, or clicking on, the hashtag, #IBDMoms, you can follow along with all the posts using that tag. In this way, you can see the conversation and also take part. If you forget either of these things, no worries! The hosts and #IBDMoms can help by retweeting your Tweet with the hashtag, or answering your Tweet. I hope to see you in the Twitterverse! I’m looking forward to this topic, I know it’s going to be so informative because we have moms with IBD who added to their families in all different ways and in all different circumstances!